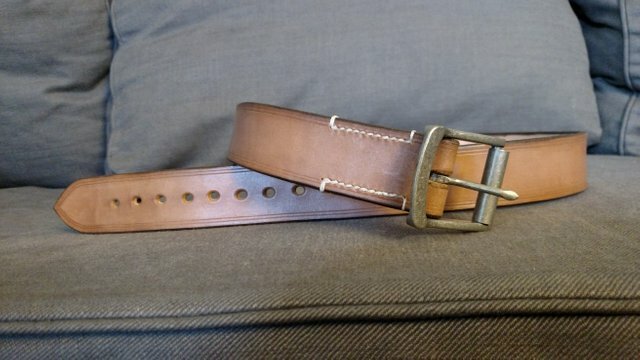 The latest belt I made for a friend. 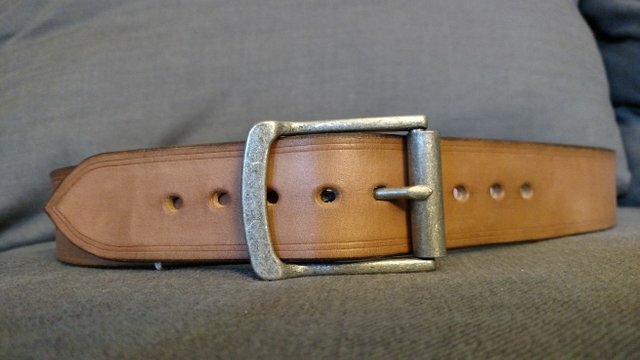 I really am liking the Dunham roller buckle from Tandy! 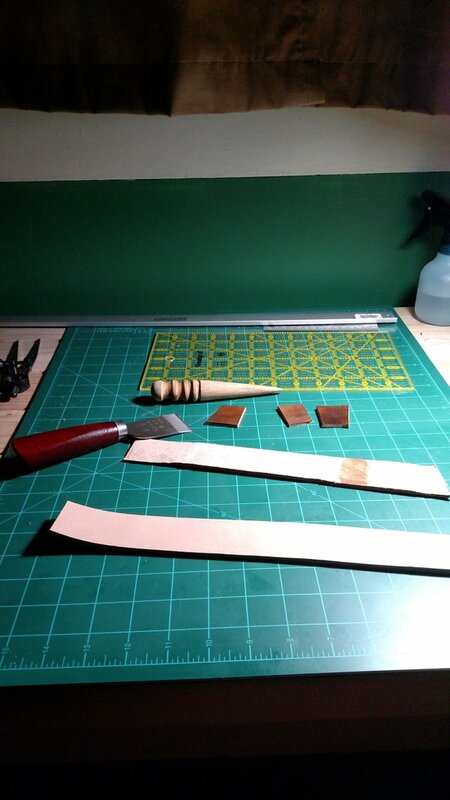 8-9 oz Veg tan with Java brown dye (eco flo). 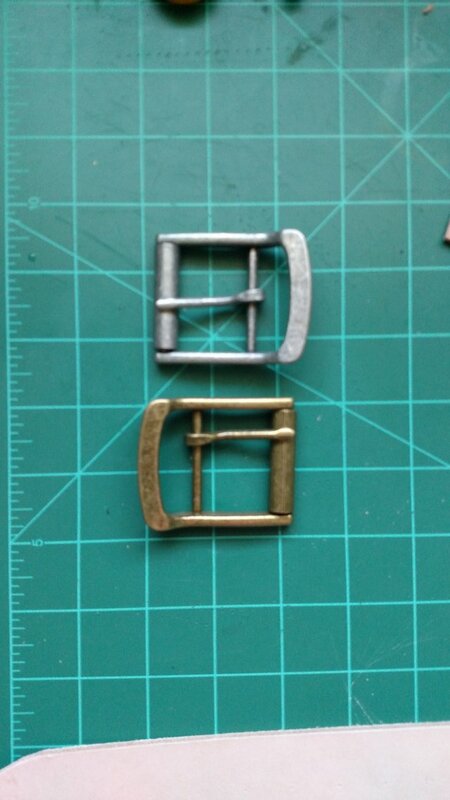 I'm still trying to improve my hand stitching. Action shot, I need to remember to take more photos while I'm working. Your UA account score is currently 0.481 which ranks you at #74384 across all Steem accounts. Your rank has dropped 102 places in the last three days (old rank 74282). In our last Algorithmic Curation Round, consisting of 194 contributions, your post is ranked at #192.